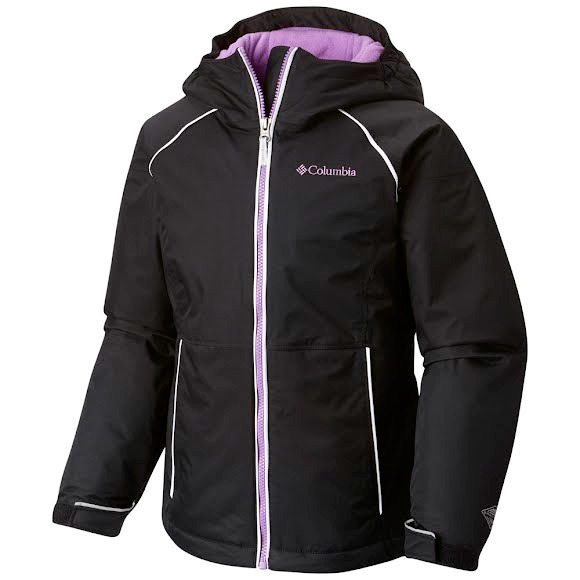 Gear up in style with the Columbia Girl's Alpine Action II Jacket. Built with waterproof breathable Omni-Tech™, 100g of Microtemp insulation, and Omni-Heat™ Reflective lining, she'll stay warm, dry, and focused on shredding instead of shivering at the lodge. Includes a powder skirt, helmet-compatible hood, and a ski pass pocket. Gear up in style with the Columbia Girl&apos;s Alpine Action II Jacket. Built with waterproof breathable Omni-Tech™, 100g of Microtemp insulation, and Omni-Heat™ Reflective lining, she&apos;ll stay warm, dry, and focused on shredding instead of shivering at the lodge. Includes a powder skirt, helmet-compatible hood, and a ski pass pocket. A unique extra fine microfiber insulator that performs similar to down. Ultra tiny synthetic fibers produce millions of small air pockets to trap heat. This coat is light weight without being flimsy. It is a perfect shell for skiing.